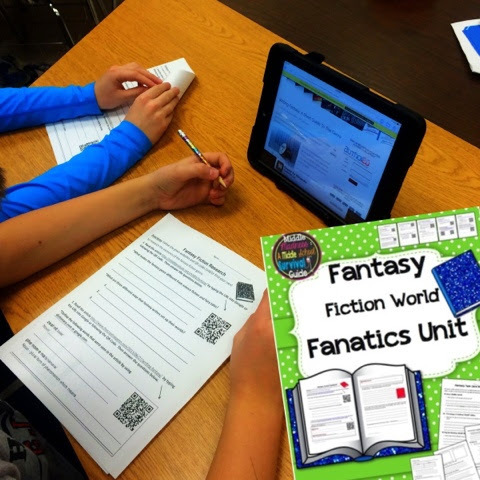 Like many children and adults alike, my third through fifth graders have a high interest in fantasy series. 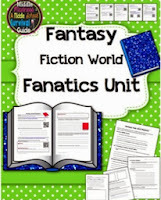 This unit plays into that high interest and allows student to analyze the genre of fantasy as well as use their research to develop their own fantasy world. So far we have finished the research component of the unit (I'll tell you more about it below!) and I can't wait to see what they come up with for the fiction world development component! I already sense the buzz of excitement in the room about their writing. First we brainstormed and presented information on each person's favorite book... 1. 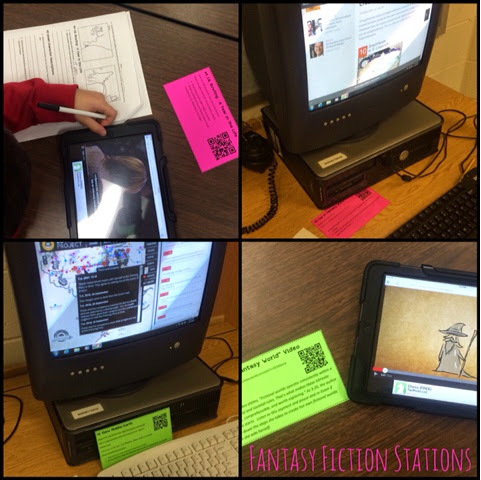 Then we did a webquest of the fantasy fiction genre. 2. We watched and discussed a www.Brainpop.com on Tolkien. The stations took approximately two class periods. I was thrilled how much they enjoyed the task cards and the quality with which they analyzed the sites and completed their activity packets. 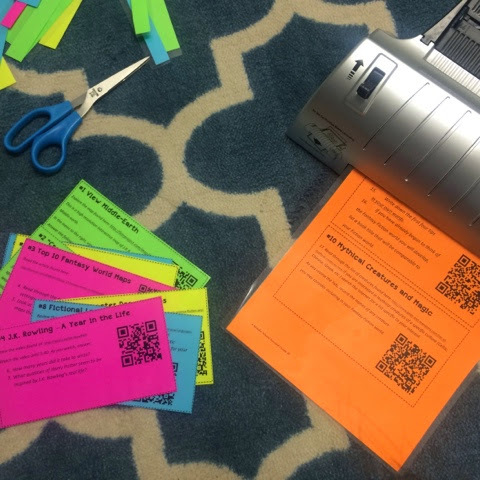 Luckily the task cards had both QR codes and URLs listed...because we ended up having limited iPad availability the day of the stations, (as you can see above). of great ideas inspired y their literary favorites and our research. 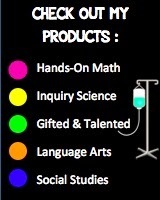 The project will be individualized by letting students develop portfolios of different products communicating their fantasy words. Dictionaries of their imaginary language? Map of their fantasy world? Timelines? Character sketches? Plot diagrams? A few chapters? A whole short story? 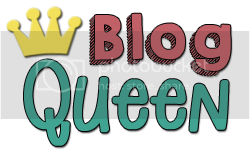 Can't wait to see what they come up with!